Caulfield trainers Ciaron Maher and David Eustace’s new stable acquisition Land Of Plenty has had minimal change to his routine in the lead up to the Group 1 $500,000 Ladbrokes C.F. Orr Stakes (1400m) at Caulfield on Saturday. Land Of Plenty, above, will have his first start for Ciaron Maher and David Eustace in the 2019 C.F. Orr Stakes at Caulfield. Photo by Ultimate Racing Photos. The Darren Weir castoff ended up under the care of Maher and Eustace after the premiership winning trainer was rubbed out for four years by Victoria’s Racing Appeals and Disciplinary Board for serious offences. Land Of Plenty worked his way up through the ranks under Weir and joined the Group 1 winner’s club with a win in the $500,000 Aquis Toorak Handicap (1600m) at Caulfield during the 2018 Melbourne Spring Carnival. Land Of Plenty has had one run back from a spell for an eye catching third to his then stablemate Whispering Brook in the Group 2 $200,000 Australia Stakes (1200m) at The Valley on January 25. Maher said that Land Of Plenty along with another of Weir castoffs Voodoo Lad, have stayed at Warrnambool where they were stabled and won’t come to Melbourne until race day on Saturday. Voodoo Lad is set to take his place in the Group 2 $200,000 Schweppes Rubiton Stakes (1100m) at Caulfield on Saturday. “They usually train at Warrnambool for Darren so we kept them in the same sort of routine,” Maher told racing.com. Land Of Plenty has drawn barrier eleven in the fifteen horse C.F. 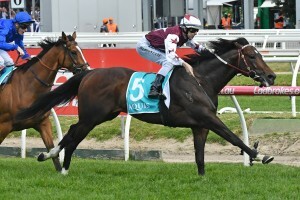 Orr Stakes field with Damian Lane booked to ride and the five year old is on the second line of betting at $5.50 with Ladbrokes.com.au behind the James Cummings trained Kementari at $3.40. The post Land Of Plenty sticks to same routine in the lead up to 2019 C.F. Orr Stakes appeared first on HorseRacing.com.au.